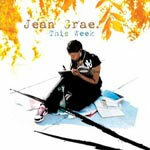 Jean Grae's newest album is way tight!!! With every verse this woman spits, she gets sicker and sicker... and sicker......and even better than that.....and then some! Jean Grae is one of the, if not, the best female lyricists to ever grace this planet.